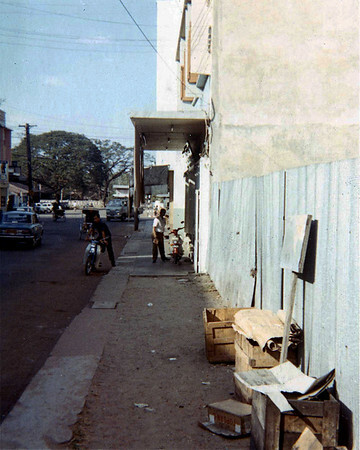 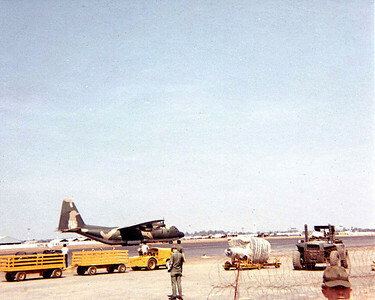 Pictures from Ubon, Thailand USAF base, January 1970 - January 1971. 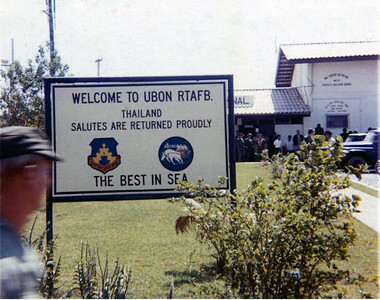 Sign you see after getting off C-130 flight from Bangkok, home for the next 12 months. 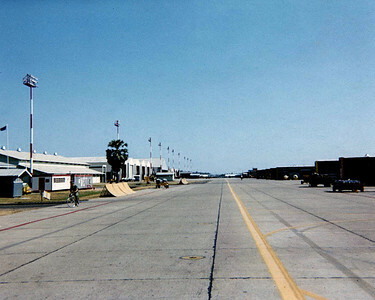 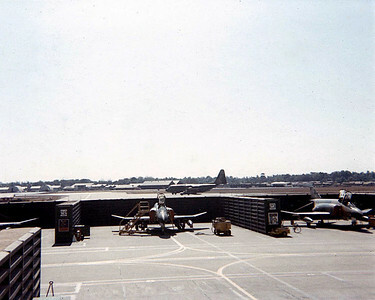 Flight line bomb delivery trailers to the right various shops to the left. 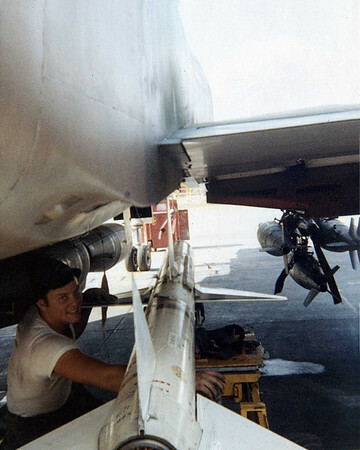 Mike guiding AIM-7 missile load, MK 82 on wing, CBU's centerline. 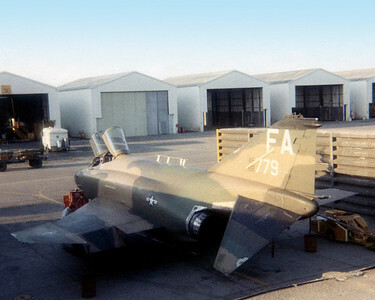 779 clean ready for loading. 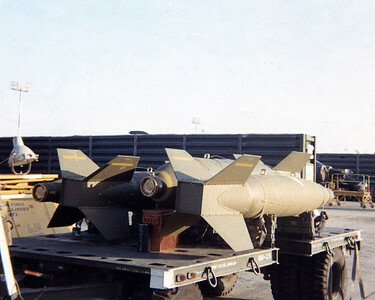 Trailer with 200 lb pave way bombs. 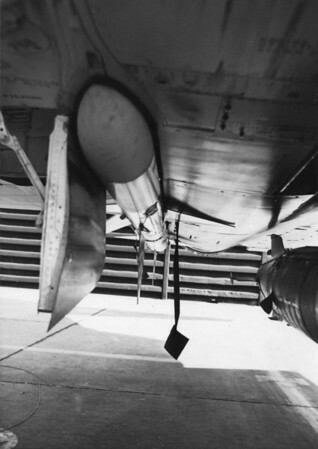 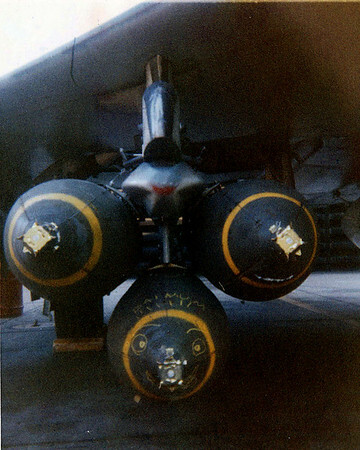 Load of Mk 82 500 lb bombs. 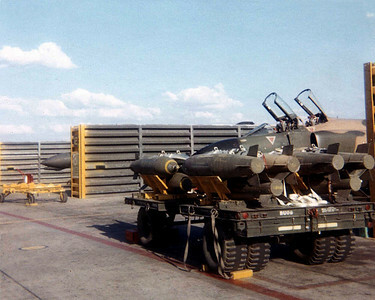 Load of AIM 9 Missles. 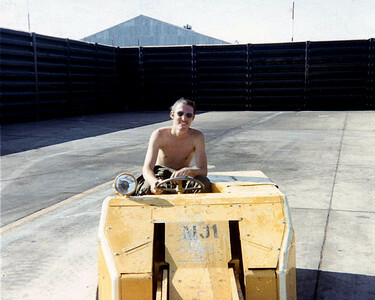 Me (50 lbs lighter back then) sitting on the MJ1. 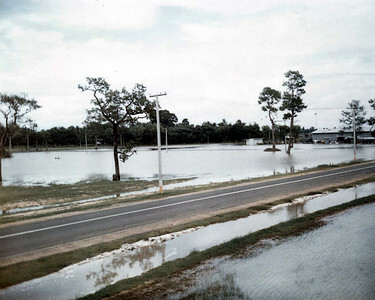 Monsoon, rained like clockwork every day. 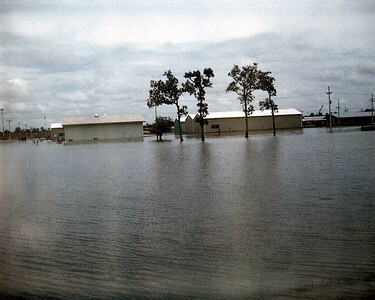 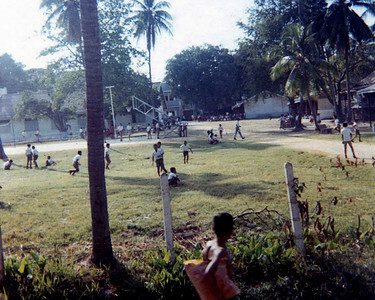 This was the field behind the 408th barracks. 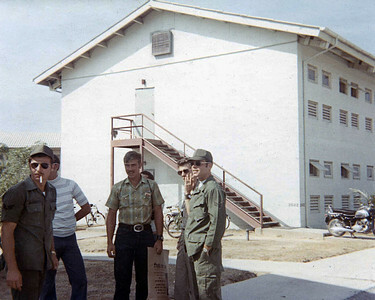 Right to left Denis Gabiuod, ?, Larry Hardy, Phil Hooks. 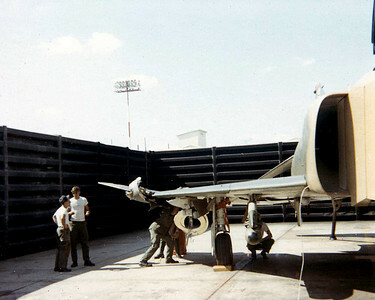 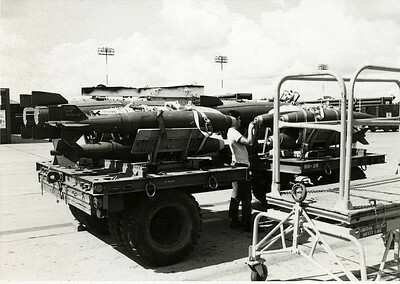 Mk 82 loaded on 433rd squadron plane. 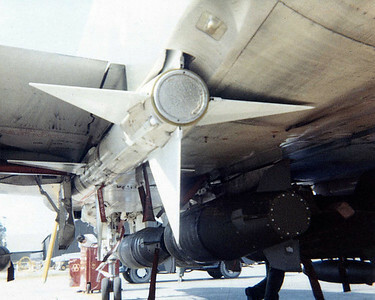 Mk 82 and CBU's waiting for fuses to be installed. 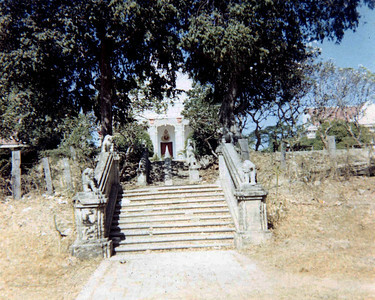 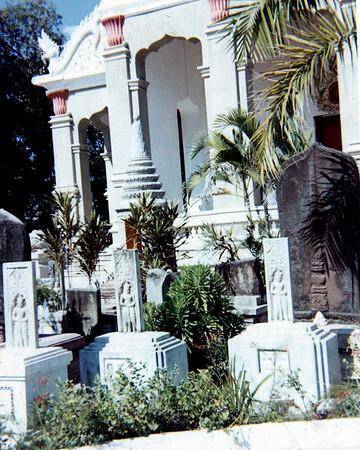 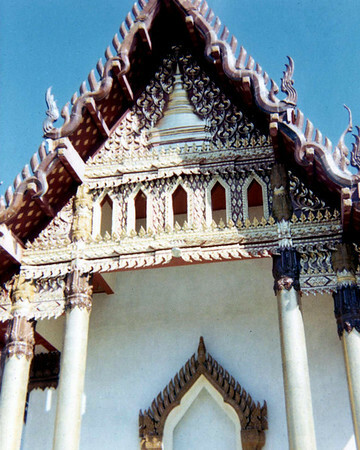 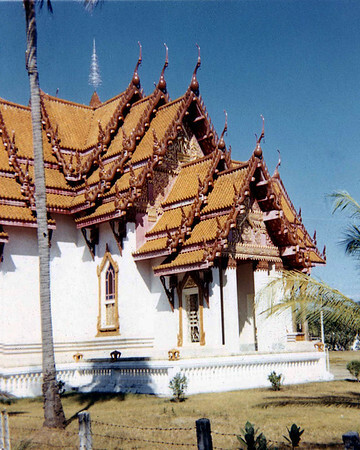 Buddhist temple. 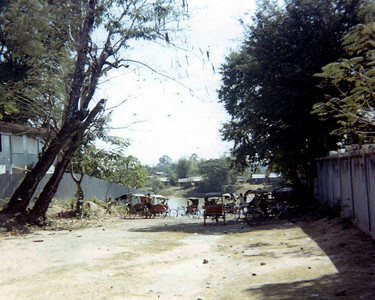 There were several around Ubon. 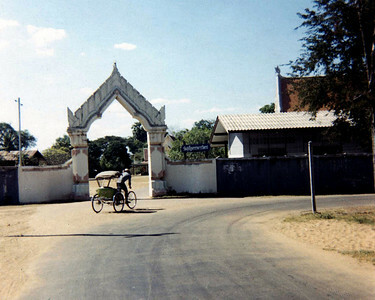 Ubon. 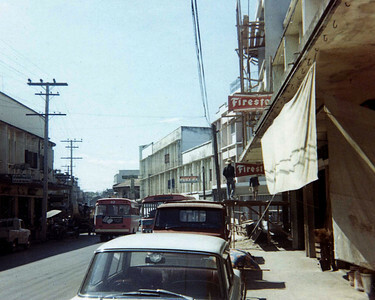 I don't have a clue as to where these were taken. 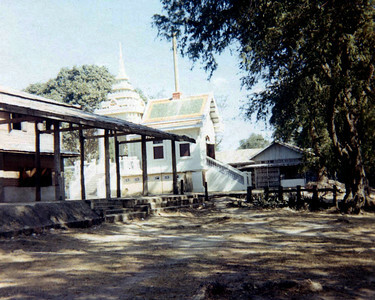 It might be on the road from the base to Ubon. 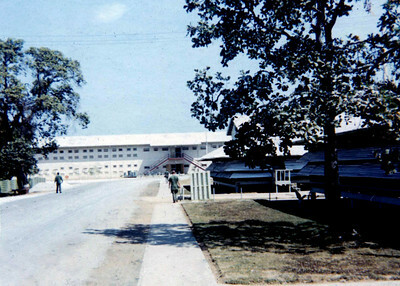 Hooches to the right and enlisted quarters at the end of the road. 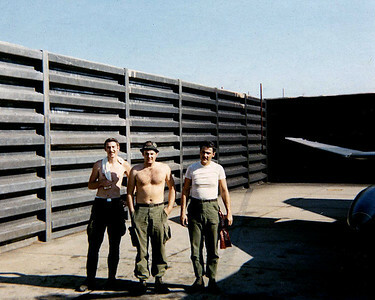 My load crew left to right me (#3 man MJ1driver), Mike Bailey (crew chief), Denis Gabioud #2 man. 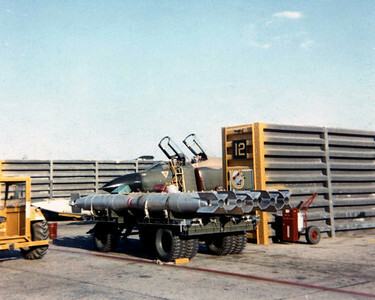 Melvin next to trailer with AIM 7 missiles. 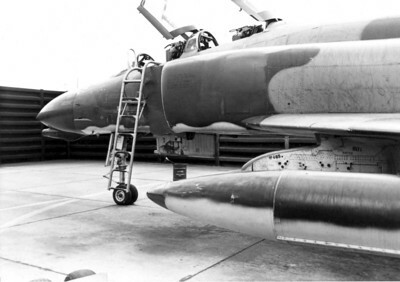 FO 435th squadron centerline rach with MK 82 dosen't remember what is on the wing pylons. 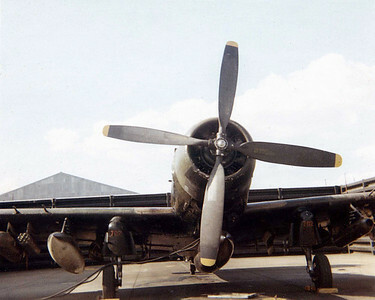 A1E Sky Raider (WWII plane). 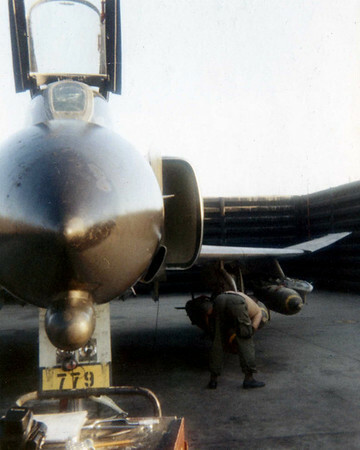 Had two at the base for close air support. 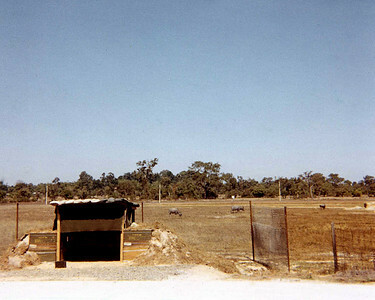 base perimeter bunker, water buffalo in the background. 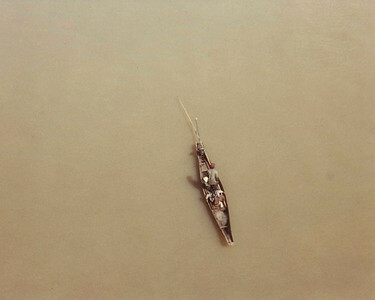 Some of the locals were using a bomb crate as a boat and catching some tiny fish (4") they ate. 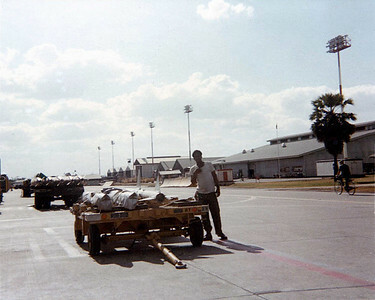 Larry Hardy going home, tour over. 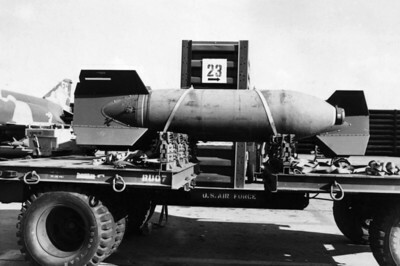 Trailer with 3000 lb bomb. 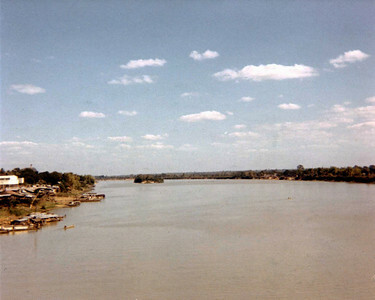 Ubon. 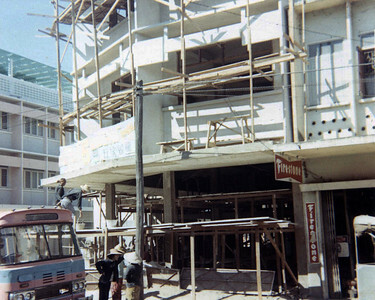 Construction site all hand labor. 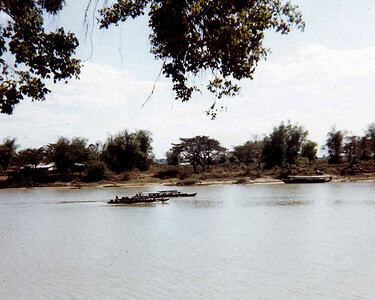 Native boats on the river looking from the bridge. 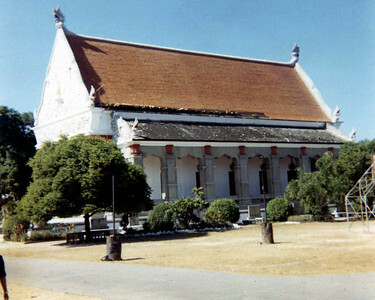 Ubon. 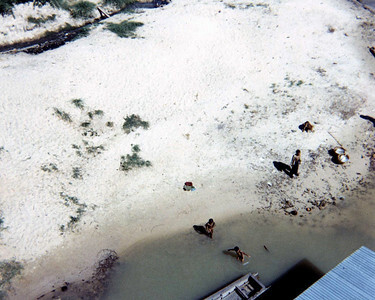 Kids swimming in the river where a where a clong (sp) emptied. 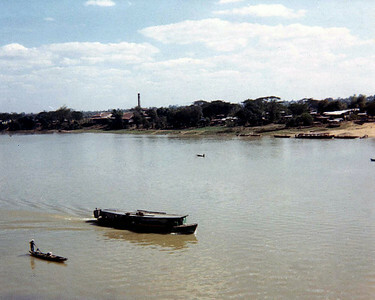 Pretty nasty water. 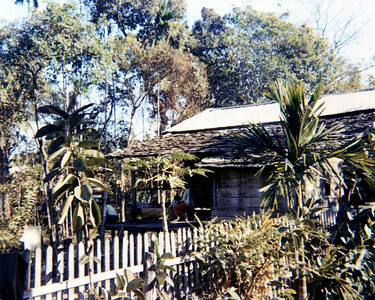 Typical hooch nice and airy. 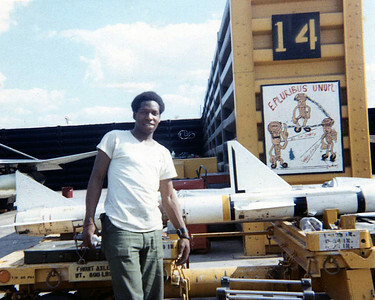 Melvin Jefferies (#4 man MJ4 driver). 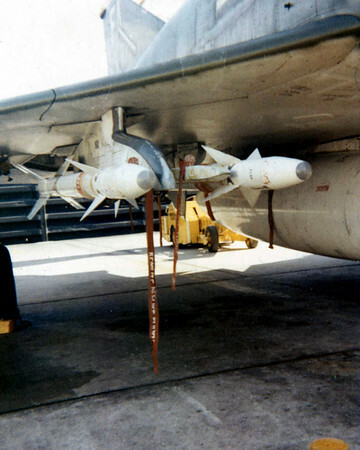 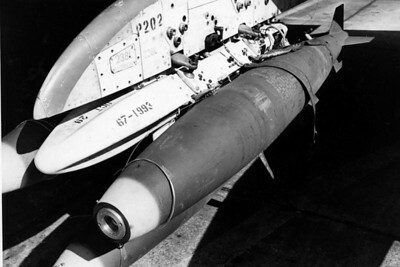 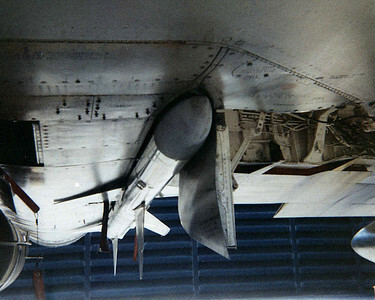 AIM-7 missile loaded with CBU's on centerline rack. 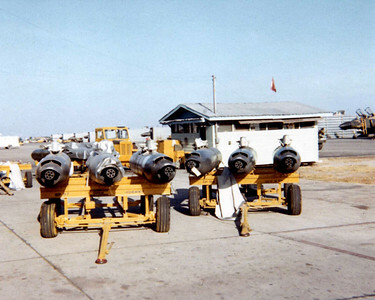 Trailer with CBU's cluster bombs waiting to be loaded. 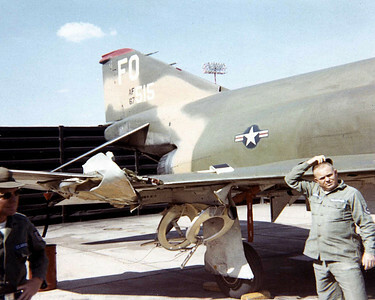 FO 515 435th returned with damage. 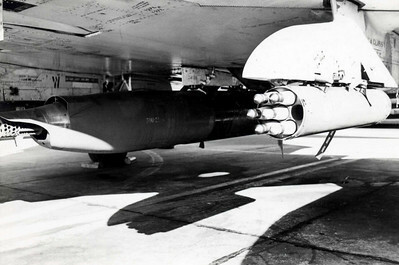 A1E fully loaded. 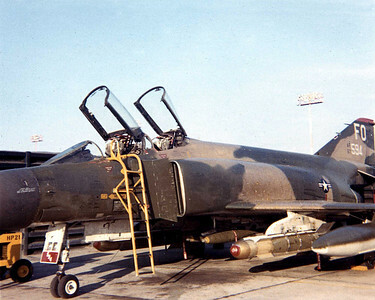 Awesome to watch at night when they took off. 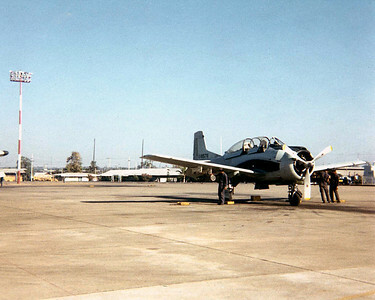 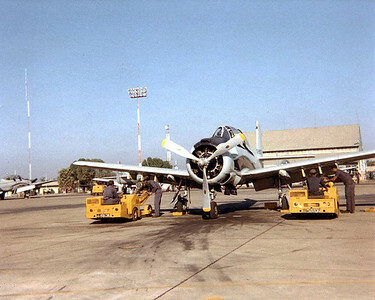 Thi Air Force T 28, don't every remember them doing much, buzz the flight line every now and then. 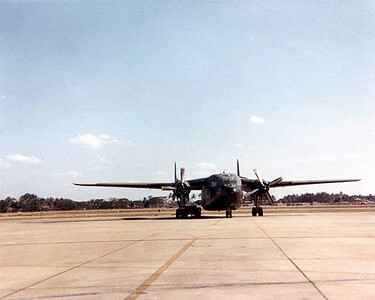 Tour finished waiting to catch the C-130 and home. 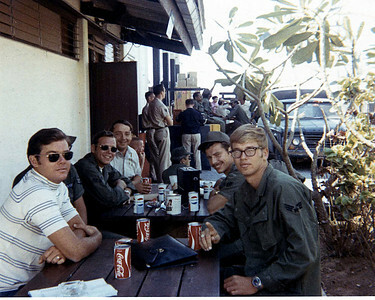 Only guys I remember are sitting on the left Phil Hooks and Mike Pruitt. 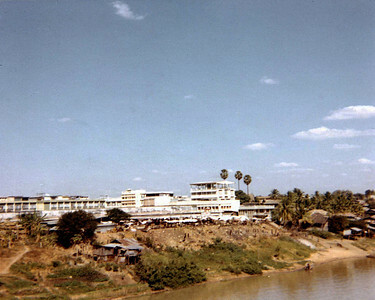 When the monsoons were over never ending sun. 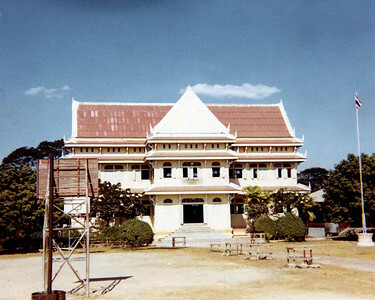 Ubon. 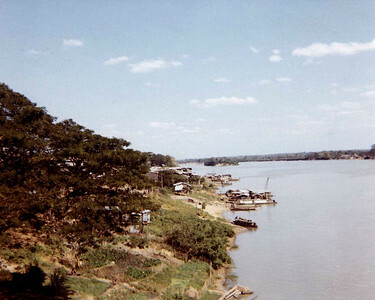 Looking from the bridge. 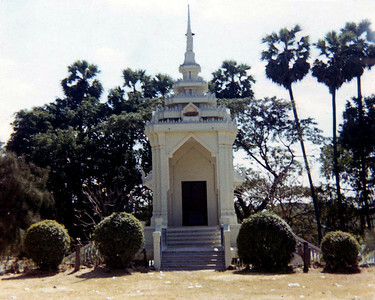 Ubon. 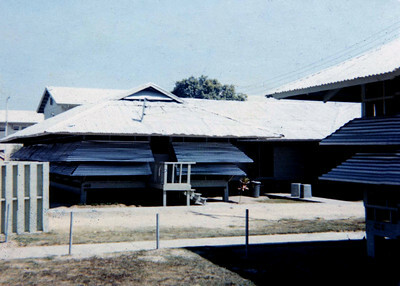 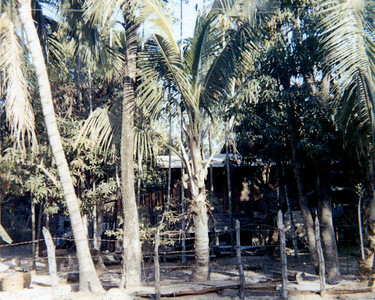 Typical bungalow that people lived in. 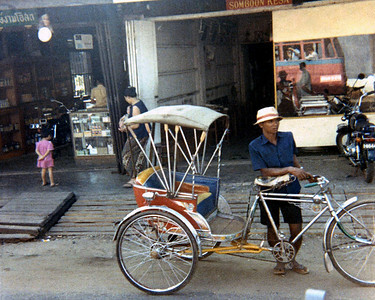 Don't know what this is. 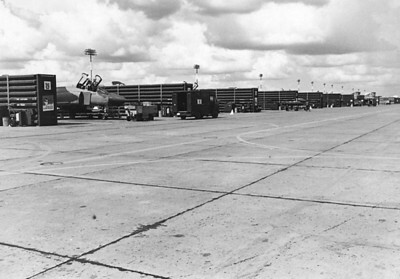 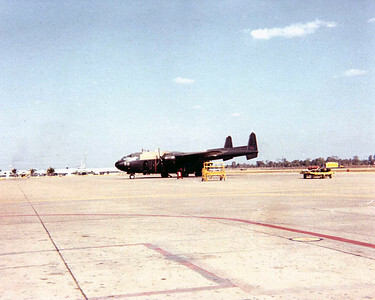 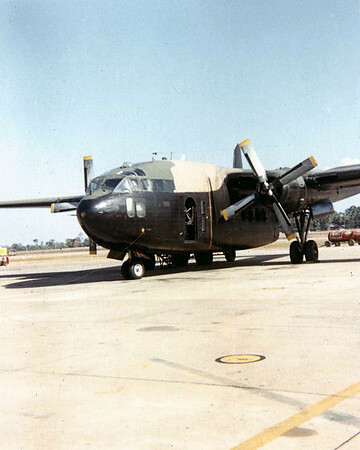 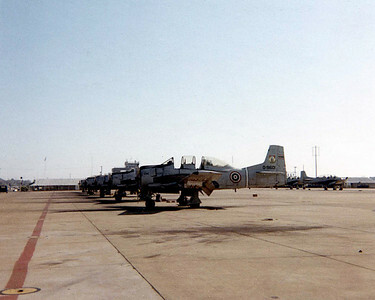 F4s parked in revetment C-130 in background. 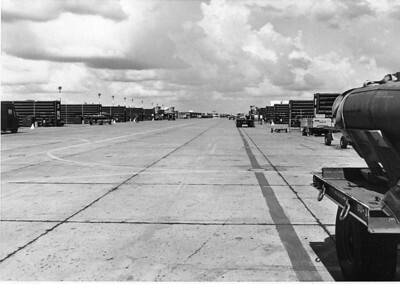 FG 433rd squadron with pave ways loaded. 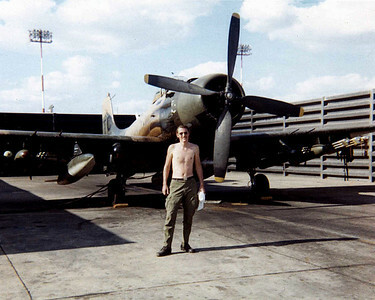 Me in front of A1E 9. 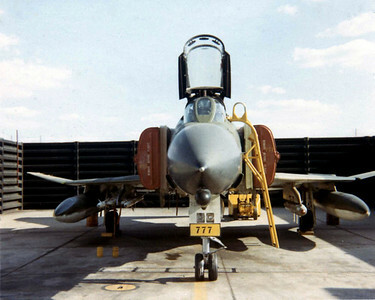 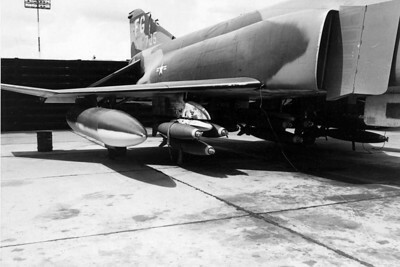 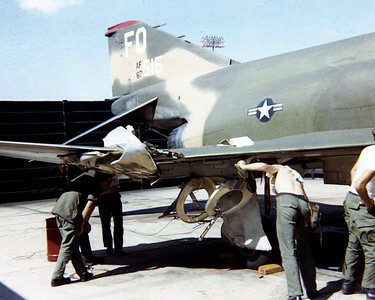 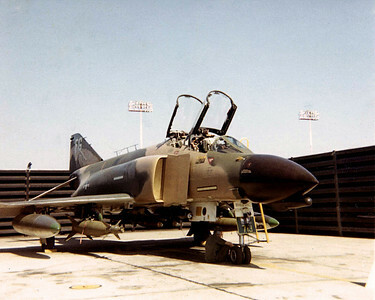 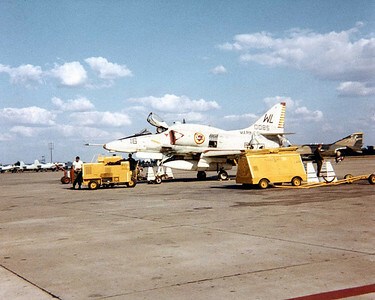 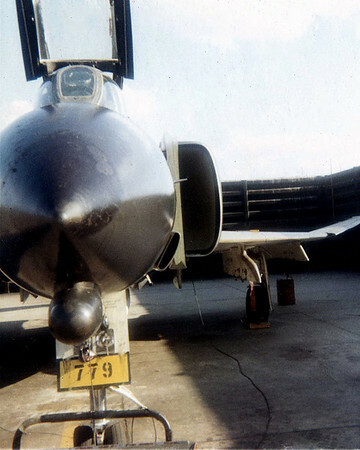 F-4 had no internal guns carry 50 cal on center line rack. 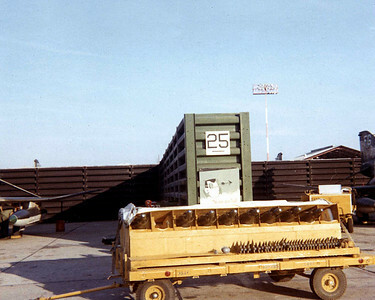 Trailer of gun pods waiting to be loaded. 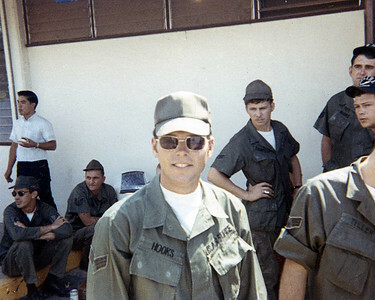 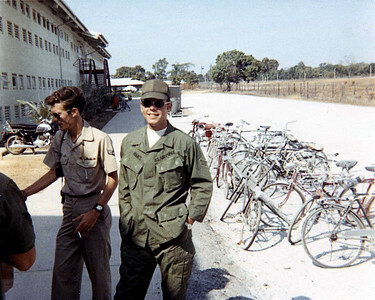 Outside the 408th MMS barracks (what a S@!T hole hat was). 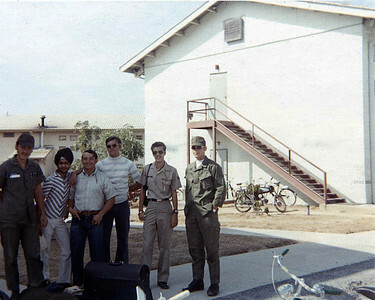 Right to left, Phil Hooks, Larry Hardy, can't remember the others. 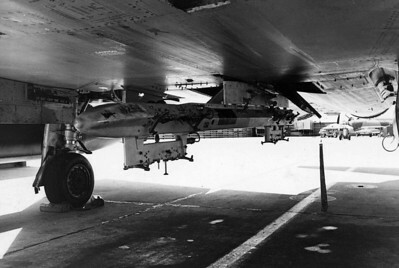 SUU 23 gun pod loaded on centerline rack. 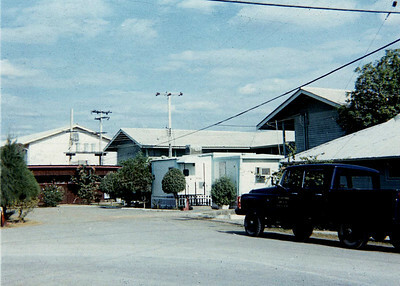 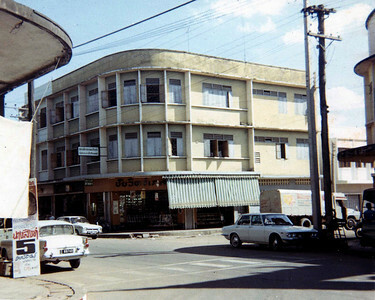 Downtown Ubon. 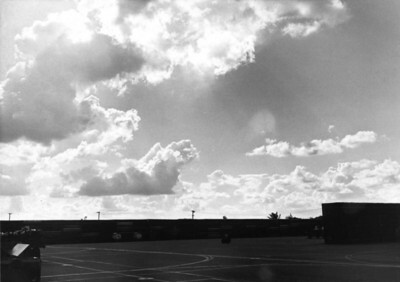 Not clear, maybe movie theater. 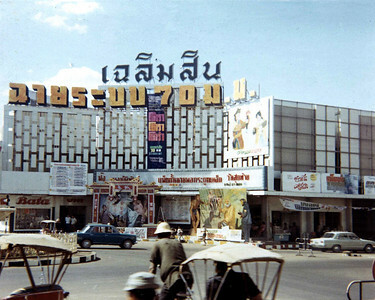 Downtown Ubon. 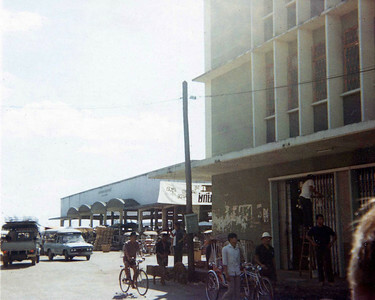 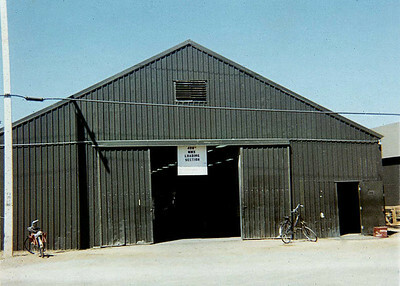 Open air market. 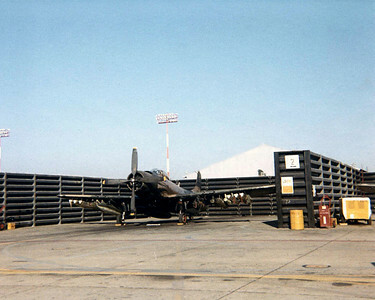 FA tail #779 25th squadron loaded a bunch on that one. 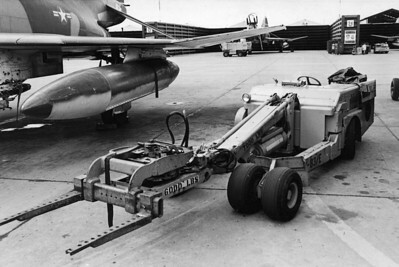 Trailer with pave way fuses. 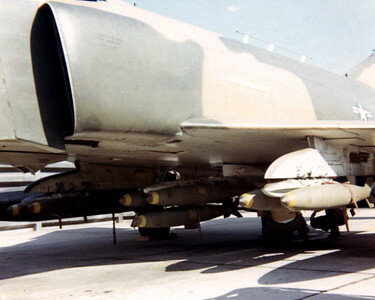 Trailer of napalm waiting to be loaded, remember the white phosphorous fuses delivered in ammon cans filled with water. 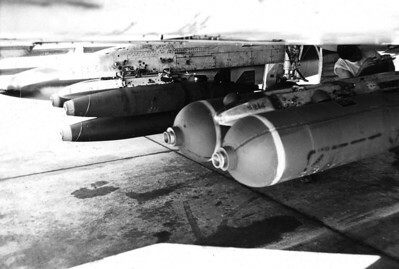 Some bad stuff. 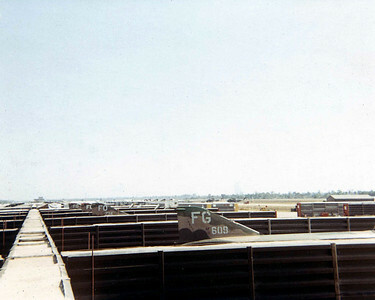 119 gun ship stopped at base. 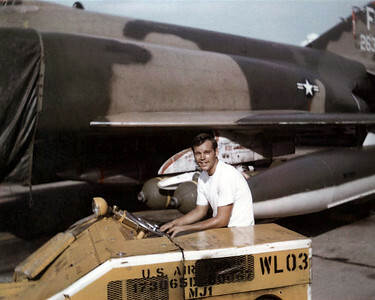 Friend Phil Hooks, loaded in the 435th squadron, sitting on the MJ1. 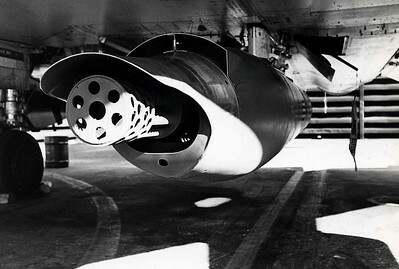 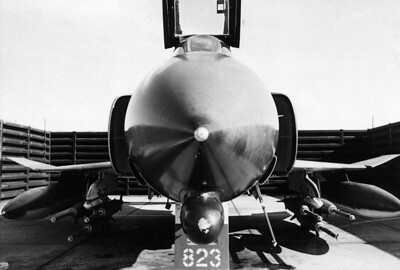 SUU 23 gun pod with 2.75 rockets on wing pylon. 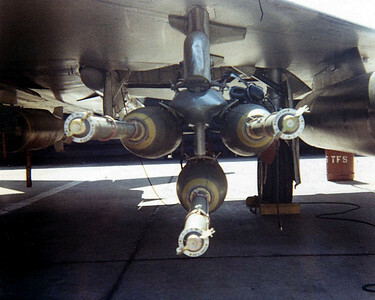 Load of Mk 82s with fuse extenders. 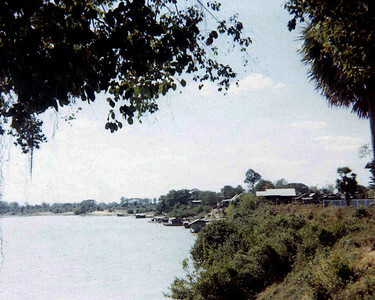 River, park of the Mekong if I remember correctly.